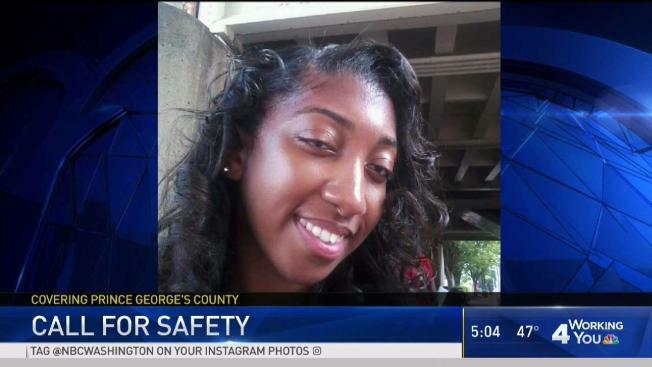 A 24-year-old woman on her way to a job interview was killed Thursday as she crossed what has been called the most dangerous road in the D.C. area. Samira Jenkins was hit by a car near the intersection of Indian Head Highway (Route 210) and Kerby Hill Road, her family says. She was pronounced dead at the scene. "One day you're laughing and smiling, and the next day, she's gone," Jenkins' brother, Derrick Patterson, said. "You just wish you could have that time back and you can't." Her mother, Yasmin Duncan, said Jenkins was likely crossing the road to catch the bus. "She had an interview and had gotten all dressed up for it. We picked out what she was going to wear," Duncan said. "I should've just took her." "It's not your fault," Patterson said as Duncan cried. "I can't believe my daughter is gone," Jenkins' mother said through tears. The driver of the vehicle that hit Jenkins about 5:45 a.m. remained at the scene. Police have not said whether the driver will face any charges. Prince George's County police say that according to the preliminary investigation, Jenkins, of Oxon Hill, was hit in a crosswalk of Indian Head Highway. Investigators are working to determine if she had the right of way. AAA calls Indian Head Highway one of the most dangerous roads in the D.C. area. This map shows the locations of all crashes on Indian Head Highway since 2007, including those that were fatal. Red areas indicate places with the highest number of crashes. There have been 48 fatal crashes on the highway since January 2007, killing 60 people, according to Maryland State Highway Administration data. Jenkins' death was the first on the road this year, a spokesman for the agency told News4. Jenkins' family said that over the years, they've seen how dangerous Indian Head Highway is. "I see it all the time. So many car accidents, so many fatalities. I don't see anyone getting pulled over for speeding. I don't see any of that, and my daughter's gone," Duncan said. Duncan says she would like to see more police patrols along the road. "Whether it's the state troopers or PG County police that need to handle it, come together. What if it was one of their children?" Last year, county police wrote thousands of tickets to drivers going too fast on the highway. "In approximately seven hours, we stopped 49 vehicles,” acting District 7 Cmdr. Jim Keleti previously said. “One was doing 100 mph. The average speed was 78." Many residents are asking for a speed camera for the busy road. Legislation recently passed from the Maryland House to the Senate. In the meantime, county police and state highway officials are checking the crosswalk lights. Anyone who witnessed the crash is asked to call police at 301-731-4422. Tipsters who want to stay anonymous can call 866-411-TIPS or use the P3 Tips app.